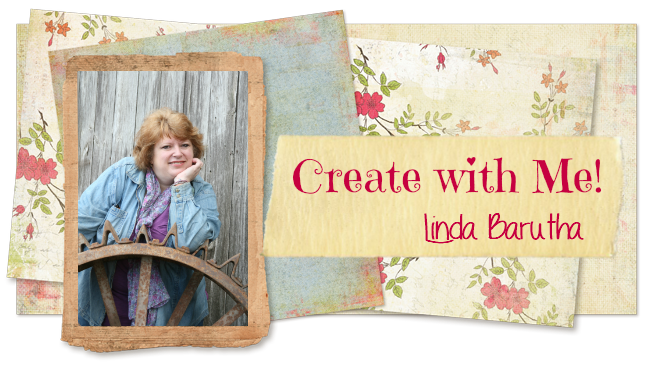 Hello, it's me, Ann from the Design Team here at Linnie Blooms and the blog: AnnMakes (http://annmakes.blogspot.com). 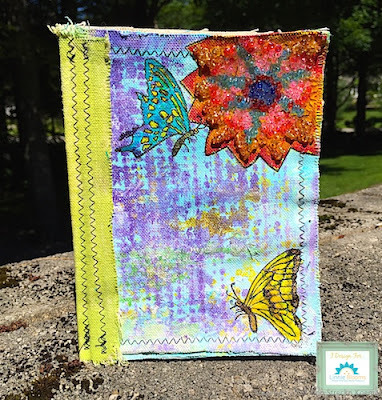 Today I have this Mini Mixed Stitch Book that I am working in to share with you. I honestly love collecting and working in books, even more so canvas ones such as this. The combination of canvas and paper in between the layers makes for such a wonderful surface to play on. I recently attended a training session with Deco-Art at a Designer's retreat in Toronto. Not only did I return with so much new information, knowledge and tips, but also products! What a lucky girl I am. I tried the new to me paints and mediums in my Linnie Blooms Book, and I decorated the cover which is what I am sharing with you today, as the inside pages are still a work in progress. This cover was prepped with gesso first. Once the gesso was dry I started to add the colours with a brush. I just played and played. 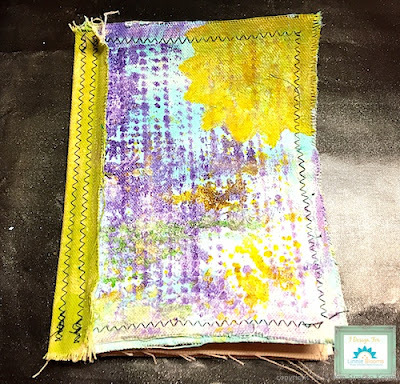 I used three colours of Fluid Acrylics (Cobalt Teal, Hansa Yellow Medium, and Dioxazine Purple) paint and just added, removed, and dabbed. 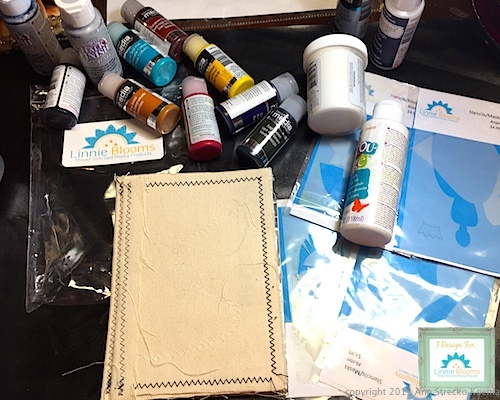 I also used a piece of rubber shelf liner as a stencil and a stamp to create the background. Once I was pleased with the background I then used the stencil to trace the flower shape in the top right corner. I painted that flower in magenta and yellow which I mixed into shades of orange, and red. I used some crackling medium as well to add texture. 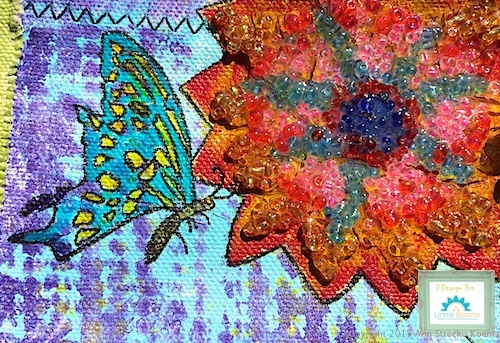 I then glued seed beads with "Liquid Glass", and I covered the whole beaded section with a top layer of "Liquid Glass". The butterflies are stamped, and coloured with the same Fluid Acrylics. Finally I traced over all the black lines with a permanent ink pen. The spine was painted with a limes greenish colour I made from mixing the Hansa Yellow, and Cobalt Teal. To see more of my projects just stop by my blog here. Thanks so much for stopping by and for supporting a great cause every time you make a purchase from Linnie Blooms!